Mechthild most likely belonged to the nobility—her language and imagery suggest a courtly upbringing. Beginning at the age of twelve she received each day a divine “greeting,” as she called her mystical encounters with God. In 1230 she left her family “in order to dwell in the love of God,” and moved to Magdeburg, where she would live as a Beguine for 40 years. It is possible that for a time she even headed this devotional community of women, who lived together but were not members of a religious order. 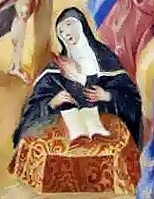 She did receive spiritual counsel from the Dominicans, in particular from her confessor Heinrich von Halle, who finally persuaded her in 1250 to write down her visions and spiritual experiences. She did this in her own hand, in the conviction that it was God’s will: “For you commanded me to write it myself.” By 1270 six of the seven books of the “Flowing Light” were brought to parchment and were collected and given chapter titles by Heinrich. Mechthild saw her book as a message to both believers and clergy, for she feared the church was in danger of being hollowed out from within; she called the powerful church officials, who often enjoyed worldly luxury, “stinking billy-goats” (VI,3). She hoped that her own unique relationship with God would inspire others to a stronger, more passionate faith. In union with God, the loving, adoring soul experiences “an unsurpassed exaltation” (VI, 3). In her mysticism of divine love Mechthild reflects the tradition of courtly love poetry as well as the biblical Song of Solomon; the mutuality of God’s and the soul’s longing for each other is, however, unique to her: “Where two heated desires unite / love is perfect” (VII, 16). God is “lovesick for her” (III, 2), “a burning God in his longing” (I, 17). According to her own report Mechthild led a life in Magdeburg that was beset with many inner and outer difficulties, including serious illnesses. 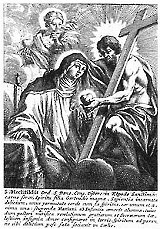 Around 1270 she was taken in by the convent of Helfta near Eisleben, where she was cared for and admired by the learned nuns Mechthild of Hackeborn and Gertrud the Great, among others, and where she dictated the seventh book of her revelations. The Middle Low German original of “The Flowing Light” is lost; a partial Latin translation completed during her lifetime and an Upper German Alemannic translation from the 14th century have survived. Mechthild von Magdeburg; Vollmann-Profe, Gisela (1990): Das fließende Licht der Gottheit : nach der Einsiedler-Handschrift in kritischem Vergleich mit der gesamten Überlieferung. Band 1 : Text. Herausgegeben von Hans Neumann. München: Artemis-Verl (Münchener Texte und Untersuchungen zur deutschen Literatur des Mittelalters, 100). 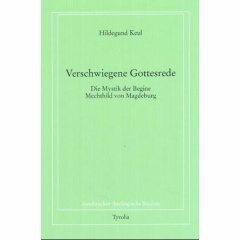 Mechthild von Magdeburg; Vollmann-Profe, Gisela (1993): Das fließende Licht der Gottheit : nach der Einsiedler-Handschrift in kritischem Vergleich mit der gesamten Überlieferung. Band 2 : Untersuchungen. Herausgegeben von Hans Neumann. München: Artemis-Verl (Münchener Texte und Untersuchungen zur deutschen Literatur des Mittelalters, 101). Poor, Sara S. (2004): Mechthild of Magdeburg and her book. Gender and the making of textual authority. Philadelphia: University of Pennsylvania Press (Middle Ages series). 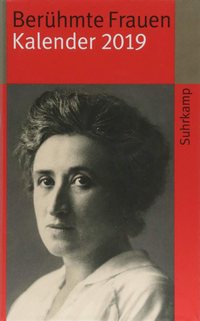 Ruh, Kurt (1993): Frauenmystik und Franziskanische Mystik der Frühzeit. Kapitel 20 : Mechthild von Magdeburg. S. 245-295. München: Beck (Geschichte der abendländischen Mystik, Bd. 2). 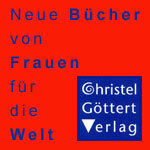 Ruh, Kurt; Wachinger, Burghart; Stammler, Wolfgang, et al. (Hg.) (1987): Die deutsche Literatur des Mittelalters - Verfasserlexikon, Band 6. Marienberger Osterspiel - Oberdeutsche Bibeldrucke.2., völlig neubearbeitete Aufl. Berlin, New York: de Gruyter. Tobin, Frank (Hg.) (1997): Flowing light of the godhead. Mahwah, NY: Paulist Press. Tobin, Frank J. (1995): Mechthild von Magdeburg. A medieval mystic in modern eyes. 1. ed. Columbia, S.C: Camden House (Studies in German literature, linguistics, and culture, literary criticism in perspective).